The worldwide blues rock superstars – ZZ Top are coming LIVE to MidFlorida Credit Union Amphitheatre on Saturday 19th October 2019! As they take to the road to celebrate 50 years of their music, ZZ Top will be performing at a selected amount of dates across North America! Tickets are now on sale for their 2019 tour and you can grab the chance to be a part of it! Come and catch songs such as "Gimme all your lovin" right before your eyes! Don't miss this incredible show – it's anticipated to be one of the biggest tours of 2019!! The incredible blues rock group, ZZ Top are known globally for their work across the music scene, with their long standing career, they have taken it to the next level and performed around the world on countless tours and of course have released great music along the way! After forming all the way back in 1969, the Texas based rockers have become one of the biggest bands to walk the earth, the line-up has stayed the same since 1970 and together they have created a dedicated fan following where-ever they go. ZZ Top are; Billy Gibbons, behind the songwriting, lyrics, leading of the band and the lead vocalist/guitarist, as well as Dusty Hill on Bass, and Frank Beard on drums, these guys have formed a group that has been described "As genuine roots musicians, they have few peers." As their friendship has remained strong throughout the years so has their music, in 1971, ZZ Top released their debut album and created a release popular with blues/rock fans. Since then their music has crossed over the genre's and transformed a sound that has included elements of new wave, punk rock and dance-rock within their songs. As the band is made up of musicians that love to laugh, the lyrics are known to be full of innuendo's, making their career even more famous. In 1983, ZZ Top gave to the world another album titled Eliminator which took their status to worldwide fame, with more than ten million records sold in the US alone! With their later sales of over twenty five million, ZZ Top became listed in the top 100 selling artists in the US! But to beat this number, their sales around the globe are fifty million and still counting til this day! Along with their triumphant numbers, ZZ Top were rightfully entered into the Rock and Roll Hall of Fame, back in 2004 – ever proving their long standing success within the music scene. In 2019, these guys celebrate a whopping five decades creating, producing, sharing and performing their music, they invite all of their fans across the states to gather and be a part of a night that will truly stay in the hearts of many for endless years to come! 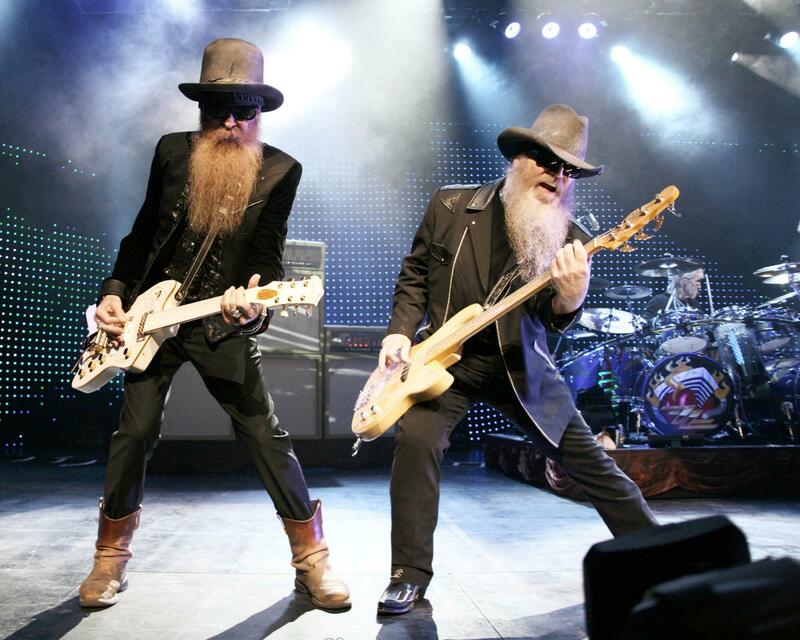 If you love ZZ Top, don't miss their 50th Anniversary tour – this chance won't come around again!